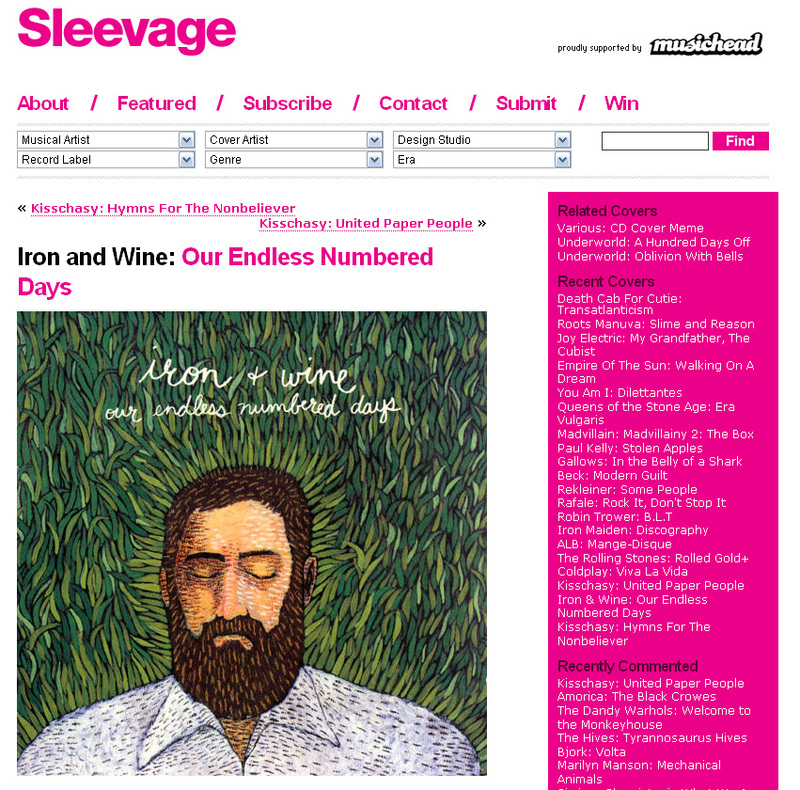 The other day I wrote about a site that featured various album sleeve artwork. Sleevage is another website that catalogs such artwork, however in a slightly different vein, covering a broader range of artists and time periods as well as offering comprehensive search tools, like "musician", "album", "artist", "label", "genre" and "era". They also provide commentary, not only on the cover (which sometimes includes interviews with the artist), but also the musicians (tangentially with the artist's themes in mind and sometimes as an educational aside), truly providing a solid and thoughtful overview inside and out . This is a great database that only appears to being growing and growing by the day.